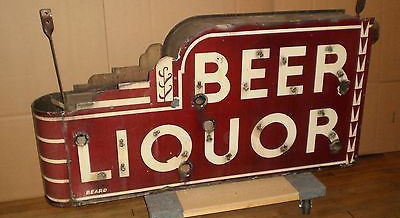 This 27″ by 56″ neon sign advertized a store that sold Beer and Liquor. The sign is a double sided porcelain neon sign that had mounts on the top to make it a hanging sign. The sign is red and has white accents.